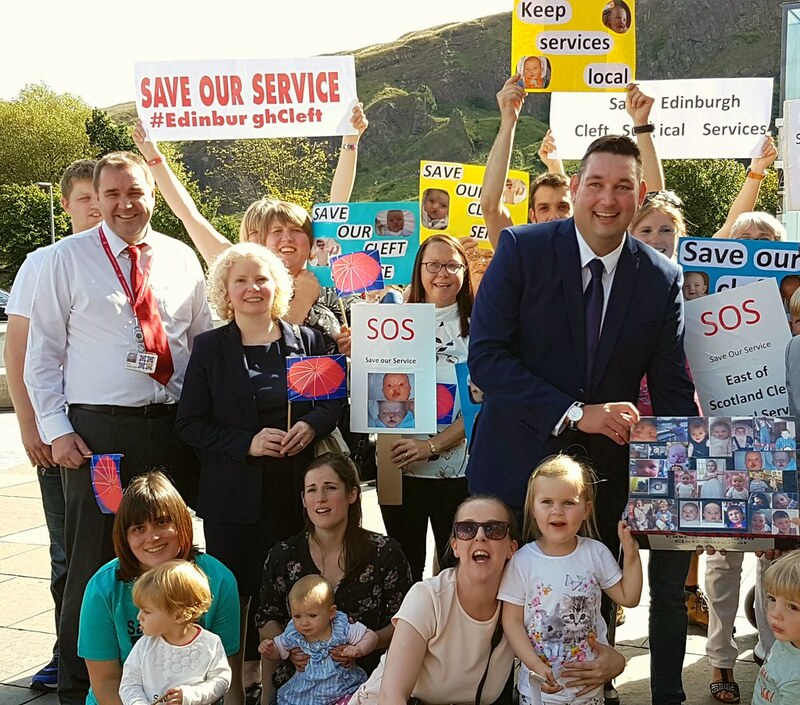 Today I met with campaigners, including from Fife, who are opposing plans to centralise cleft lip and palate surgery to a single site in Scotland. As a result, those within Fife would have to travel to Glasgow to receive such surgery. Previously the Royal Hospital for Sick Children in Edinburgh also offered cleft lip and palate surgery. 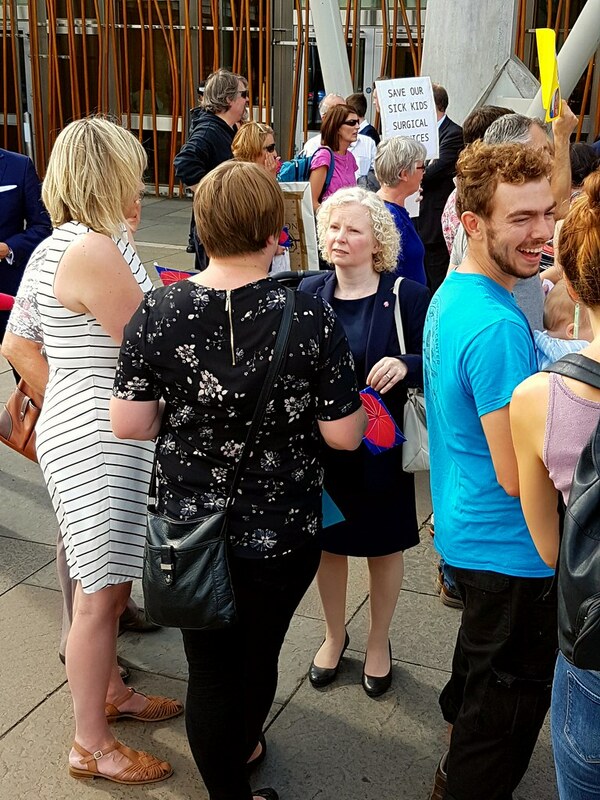 Campaigners today were handing over a petition with over 6,000 signatures and I hope that NHS Scotland and the Scottish Government listen to their concerns. This week is National Epilepsy Week and today in Parliament I signed up to Epilepsy Scotland’s campaign #epilepsygetsmyvote. Epilepsy is a serious neurological condition that affects one person in 97 and over 55,000 in Scotland suffer from the condition. Research findings suggest that whilst just over half of people with epilepsy have seizure control, seven in ten could become seizure free if they received optimum care. That is why support for people with epilepsy gets my vote. 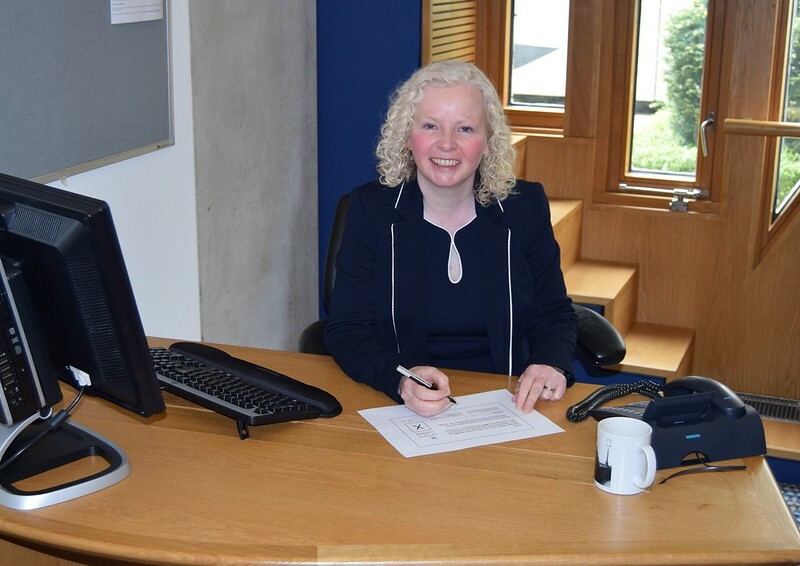 Today I was delighted to have been sworn in as MSP for Mid Scotland and Fife. Having represented the region since 2007 I am looking forward to another session standing up for constituents from my home region. That started today when I met with union representatives from Unite and Unison over cuts coming to NHS Fife. This week I went along along to Fife Gingerbread AGM. It was a moving and inspiring event. 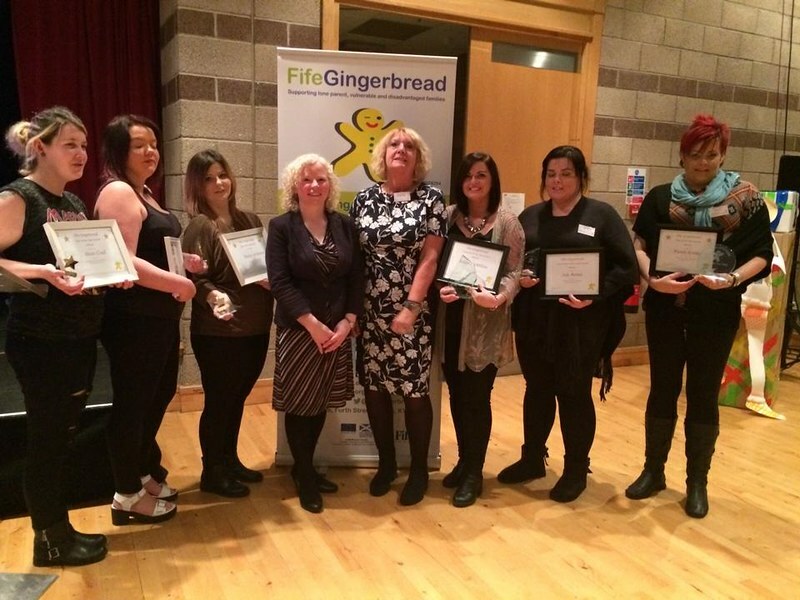 We heard from families who have worked with Fife Gingerbread and their experiences of supporting their children, building their own confidence and getting on in life. It was great to see the way Fife Gingerbread are imaginatively using creative writing and art with families. It was clear to see how much everyone had benefited from expressing their creative side. It was also great to hear about the progress of the Teen Fife Teen Parent Project and the awards they have been winning. It was a real pleasure to present the AGM awards this year and help recognise the women’s achievements. Looking forward to next year! During Portfolio Questions in the Scottish Parliament I raised the issue of housing and its impact on the successful delivery of integrated health and social care in Fife. Fife Council has invested significantly in affordable housing and this is to be welcomed. It is also important that if we are to ensure that a joined-up social care agenda is to work that we need suitable retirement housing for those that may require a care package. For this to be achieved local governments throughout Scotland will need support from the Scottish Government to deliver integrated social care and healthcare. It is important that the Scottish Government are working across portfolio briefs to ensure this can be delivered. You can watch the question on the video below. It has been recently announced that The Cannons Surgery in Methil will be taken over by NHS Fife as a result of major staffing concerns. The surgery had made various attempts to recruit two GP Principles without any success resulting in one GP single –handedly covering the surgery with support from a Nurse Practitioner. As a result the decision was taken that The Cannons Surgery would resign from its Section 17C GMS contract in November when NHS Fife will take over the running of the practice. Alongside the Methil surgery there have been unsuccessful attempts to recruit GPs in Kennoway, Lochore and Dunfermline, with many practices in Fife recording difficulties in securing locum cover. 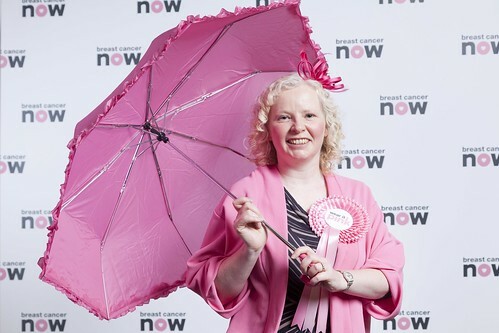 Last week I showed my support for women with breast cancer by dressing up in pink to encouraging constituents to take part in Breast Cancer Now’s flagship fundraiser, wear it pink, on Friday 23rd October. I was delighted to join fellow parliamentarians in wearing it pink in Holyrood to encourage people across Scotland to get involved. This week is carers’ week and I have taken the opportunity to back calls for more support for unpaid carers across Mid Scotland and Fife. With an estimated 61,000 unpaid carers throughout the region, with almost half providing over 20 hours of care a week, support is vital. It is important that the work of unpaid carers does not go unrecognised and unsupported. According to Carers UK, Scotland’s carers save the country £10 billion a year. The least we can do is work to deliver more support for the thousands of unpaid carers across Fife.